National leader of the All Progressives Congress, APC, Asiwaju Bola Tinubu on Tuesday said all aspirants for various elective positions for the 2019 general election under the banner of the party, will be made to face direct primaries. 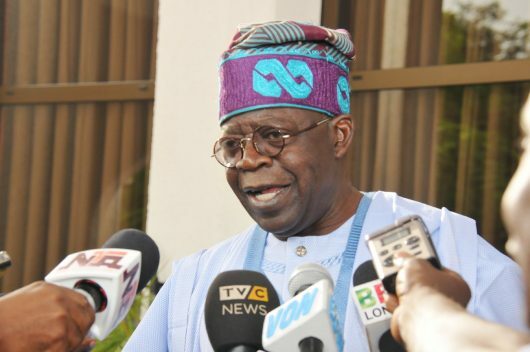 Tinubu spoke while addressing members of the party at a stakeholders’ meeting held at the party’s secretariat on Acme Road, Ogba, Lagos, Southwest Nigeria, A PM news report said yesterday. He said to this end, the party would immediately commence the process of registering new members, while the old members who had registered before now as well as the new members would all be issued membership cards. Tinubu said it was gratifying to report that the party had resolved to register additional members, adding that membership register would be opened to facilitate the process, which eventually would be used for direct primaries. He said: “We appeal to all members to update the membership registration and embrace the direct primary that has just been introduced and adopted by our party. We are committed to our party; we are committed to the values of the party; we see direct primary as President Muhammadu Buhari’s anti-corruption and internal democracy revolution. Tinubu also dismissed the insinuation that the party was divided in the State, saying there was nothing of such, and that the party was intact. “We reiterate the fact that APC in Lagos State is intact. There is no division. I’ve heard some people conspiring to present a situation of division in the party in Lagos but let me assure you that it is just the coming together of adversaries which will have no effect on the party,” Tinubu said. Besides, he said the party at the State level also passed a resolution commending the Acting President, Professor Yemi Osinbajo for taking decisive actions to save the party and the nation from any embarrassment, saying: “We commend his efforts; we stand with him; and we stand with all members of our party,” just as the party commended all the steps taken so far by APC National Chairman, Adams Oshiomhole. TTinubu equally urged members to get their Permanent Voters Card (PVCs) before the expiration of registration deadline by the Independent National Electoral Commission (INEC). In his remarks, the State Governor, Mr Akinwunmi Ambode commended Tinubu for kick-starting the revolution for direct primaries, saying the process would go a long way to deepen democracy in the country. “There is no better time to appreciate our National Leader (Tinubu) than now. What we have just witnessed is the beginning of a revolution about the deepening of democracy in Nigeria. People might not understand what is going on but we are giving power to the people and it is starting from APC. He said the party in the State, with the development, was laying a solid foundation, and that the onus was now on others to build on it and allow Nigeria arrive at its destined destination. According to the Governor, “So, for us to say that all the people should go and get their membership, is going to now determine how many of us are really APC members. We want to determine what really controls political positions in this country and whoever has gone to defect, we are saying that there are no defectors in Lagos State and defection is a major loss to whoever has defected. “By the time we count ourselves; by the time we count all the members of APC in Lagos State, other parties will understand where APC is going and that is the assignment for all of us. Each member will get a minimum of 100 new members and by the time we do our count, we should be so sure that that is what should happen in other States and we would deliver the next general presidential election to Muhammadu Buhari by the grace of God,” Governor Ambode said. The meeting was well attended by chieftains and members of the party across the State.